At Heating Homes we have over 20 years of experience in providing the highest standard of plumbing and heating services to homes and businesses in London. Our team prides itself on the highest quality of work, fantastic customer service and reliability. Our engineers are fully Gas Safe Accredited and Worcester Bosch Accredited. This is why we have a rating of 9.7/10 on Checkatrade! The team at Heating Homes are here to keep your home warm and cosy. 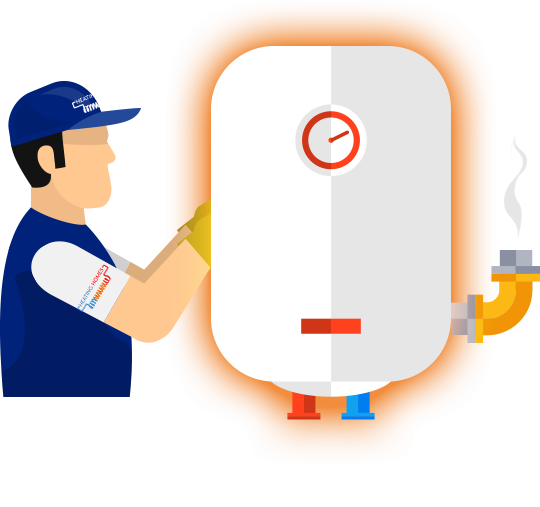 Whether your boiler has broken down or you need a yearly service our reliable and highly qualified team of engineers will get you back up and running in no time. Central Heating can encompass a wide range of elements, from boilers to radiators to underfloor heating systems. At Heating Homes we are experts in all of these. Our friendly team can provide you with expert advice to ensure that you get the best possible solutions for you needs. Our engineers cover the whole London area so give us a call today to chat through your requirements. Planning a new build, extension or simply in need of an effective, economical heating system? Underfloor heating can be a fantastic option! We can install underfloor heating in new or existing properties and we use only the highest quality materials from specialist suppliers. Get in touch with the experts at Heating Homes to find out more. We have been serving the households of London for over 20 years with reliable plumbing and heating solutions. There is a reason that we have a score of 9.7 out of 10 on Checkatrade and that’s our dedication to the highest standards of work, customer service and reliability. You can trust our team of friendly and professional engineers with all you plumbing and heating needs. If you are a business or retail owner in the London area we can provide an extensive and cost effective range of plumbing and heating services. From the installation of accessible toilets through to cost effective central heating solutions. Save yourself or your business hundreds of pounds in energy bills with a smart thermostat. No need to spend money heating unoccupied rooms or buildings, with a smart thermostat you can control your central heating system from your phone even when you are miles away! We can advise you on the ideal smart heating system and install it for you. Our engineers cover the whole of the London area.